There's plenty to crow about in the economic picture right now: the stock market is charging ahead and the economy is expanding. But the bad news is that credit card debt is on the rise. "Finding a way to put money toward paying off debt, especially high interest debt, is the best way to free yourself from the vice grip debt can have on your budget," said Kimberly Palmer, personal finance author and writer at NerdWallet. 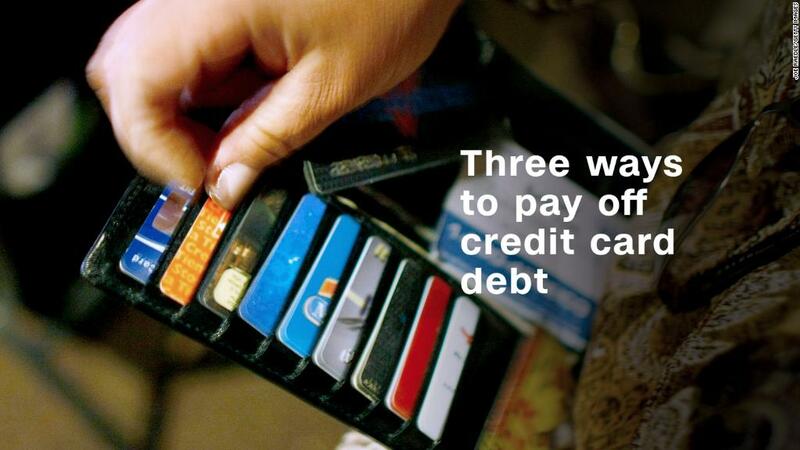 What does living amid massive credit card debt mean for you? Let's break it down. While credit card debt is among the smallest piece of American's total debt -- mortgage debt, for example, makes up 67% of our total household debt, student loans 10%, auto loans 9% and credit card debt accounts for 6% -- there are more credit card accounts than other forms of debt, according to the Federal Reserve. Our credit card debt totals $905 billion, according to NerdWallet, which includes those cards paid off and those still outstanding. That's an 8% increase over last year. In addition, because of our inadequate savings, many people have no way to pay for big expenses -- like medical bills or emergencies -- other than their credit card, according to NerdWallet's American Household Credit Card Debt Study. Food and beverage, arguably, you could cut back on. But the other expenses are big chunks of Americans' spending. Just the medical costs alone can throw your debt out of whack. That's a bit of good news because it means that by pulling back on discretionary spending, you can reduce your debt. Those are more troublesome, because in many cases you don't have control over those expenses. But you can control how you pay for them. "Charging medical bills to credit cards can seem like a simple solution, but it can actually lead to even bigger headaches down the road," Palmer says. "That's because many credit cards have high interest rates, which means the amount owed can quickly snowball out of control. Instead, ask your doctor or hospital if you can arrange an interest-free payment plan with them."